Will Rick Perry’s Comedy Show Be Renewed for Another Season? The Texas governor is now “a better person,” he says. Back in 2012, Texas Governor Rick Perry provided political junkies with the equivalent of a nonstop laff-athon, punctuating his campaign with bumbles, clunkers, oops!es, and other classic gaffes. Well, get your popcorn ready. He’s back. It’s hard to dismiss out of hand the governor of one of America’s biggest states, especially when that state is Texas, the very anchor of the Republican party’s presidential coalition. And Perry, with his corn-pone style and self-deprecating humor, is hard to pin down ideologically: Is he part of the Tea Party–aligned, anti-establishment movement that may or may not topple Mississippi Senator Thad Cochran tomorrow? Well, no, not quite. Is he part of the GOP’s Chamber of Commerce–loving, Wall Street–backed business wing that took advantage of Eric Cantor’s defeat to elevate another center-right, pro-business Republican in his place in the House of Representatives? Not exactly. 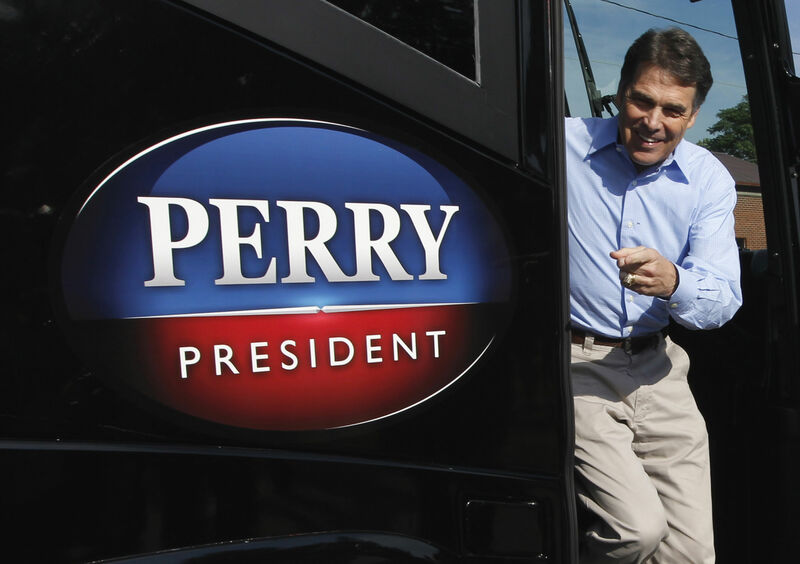 Theoretically, at least, Perry might be considered capable of appealing to both sides in the Republican civil war. Unfortunately for Perry and for the GOP, however, Perry is a goofball who isn’t likely to get much traction. Preparation is the single most important lesson that I learned out of that process [in 2012], and over the last 18 months, I have focused on being substantially better prepared. Whether or not you feel compelled to follow a particular lifestyle or not, you have the ability to decide not to do that.… I may have the genetic coding that I’m inclined to be an alcoholic, but I have the desire not to do that, and I look at the homosexual issue the same way. Still, appearing on CNN’s Crossfire, Perry didn’t take back his remarks, standing by them but noting that he wished he’d focused instead on Texas’ economic record. But Chris Christie, the New Jersey governor, took the opportunity to say that he strongly disagrees with Perry, and Perry’s remark was ridiculed by Jon Stewart and by Funny or Die, among countless others. He is clearly in a self-improvement phase—doing things like attending the World Economic Forum in Davos and meeting with conservative economists and foreign-policy experts like John Taylor and George Shultz at Hoover. “All of that makes me a better person,” Perry said.